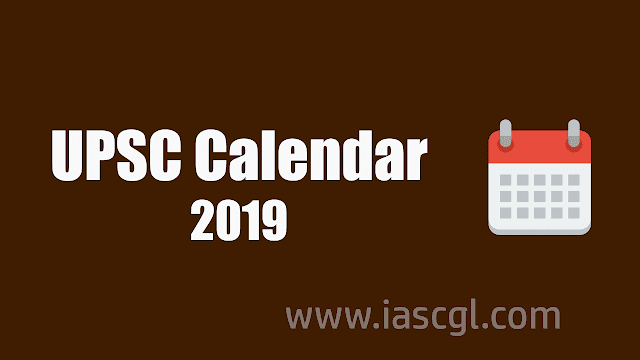 Union Public Service Commission(UPSC) has released exam calendar of Year 2019. UPSC every year issue a exam calendar of its scheduled exams over the year. This will help candidate to monitor their prepartion according to time remain as well as details of all exam conducted by UPSC. This year UPSC conduct CSE Prelims on 2nd June 2019, Notification of UPSC Prelims exam to be release on 19th February 2019 and last date of application will be 18th March 2019. UPSC has right to change the exam schedule.